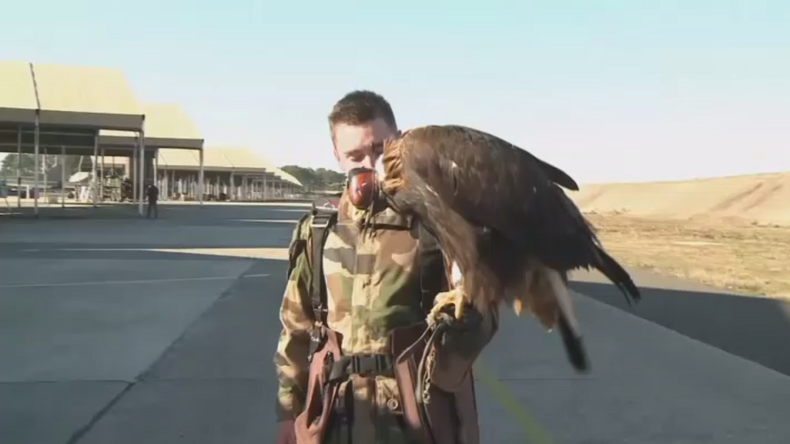 The french Air Force has showcased its latest anti-drone weapon and it’s not some high tech piece of equipment, but rather an eagle, named D’Artagnan. Under the watchful eye of French president Francois Hollande, D’Artagnan was tasked with demonstrating skills on how to engage and neutralise remotely controlled pilotless enemies. Just seven months old, D'Artagnan performed his task spectacularly over Air Force Base 118 in Mont-de-Marsan in southwestern France, which Hollande toured on Friday. As soon as the drone was in flight and once the chaperon blinds were removed from the animal, it took D'Artagnan only a few seconds to neutralize the drone and take it down on the ground. After the performance the proud eagle was greeted by the French president. Dubbed a new kind of soldier, D'Artagnan and at least three other predators have been trained by the French air force since last spring. It was ‘recruited’ while still in its eggshell, and during course of it’s training the bird has learned to differentiate drones with prey by being fed meat attached to the devices. 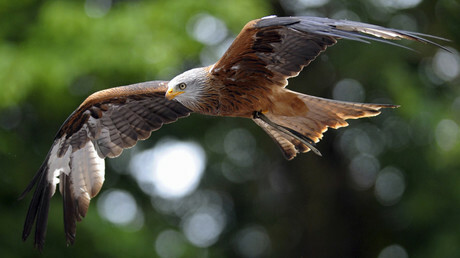 While eagle-drone hunting is still at the experimental stage, the technique has been used on the 118 de Mont-de-Marsan base since September, where four royal eagles three males and one female, undertake round the clock training missions. If the idea is successful, which seems to be the case, other birds could soon join this new army of drone fighting predators.